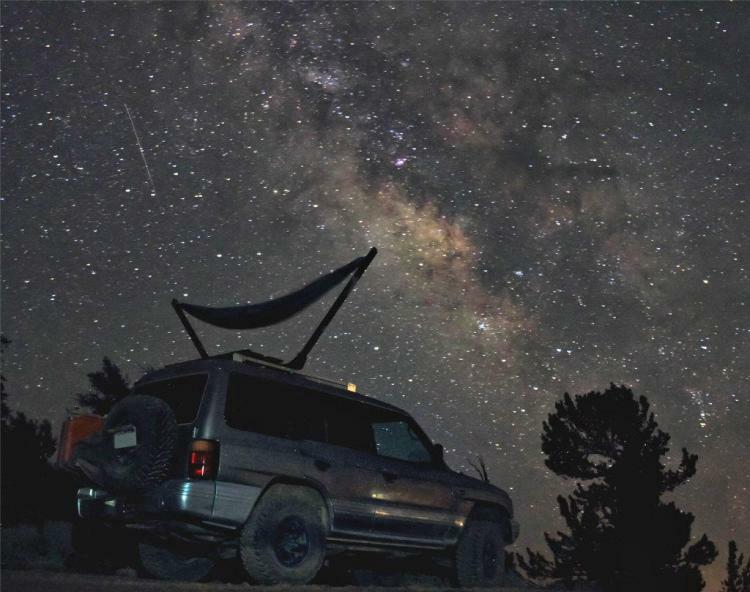 When you're out in the middle of the desert or in some forest with some nasty bugs or critters, you may not want to setup your hammock too close to the ground in fear of bugs feasting on your face while you sleep. Plus sometimes there's just no trees to even setup a hammock. 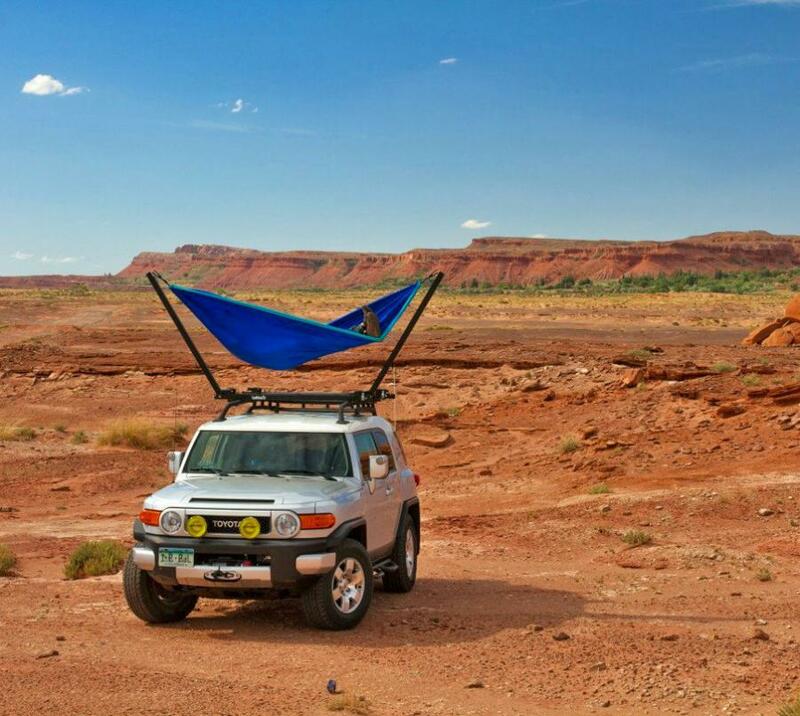 This company called Trailnest, has created a hammock that you can attach to the roof of your SUV. 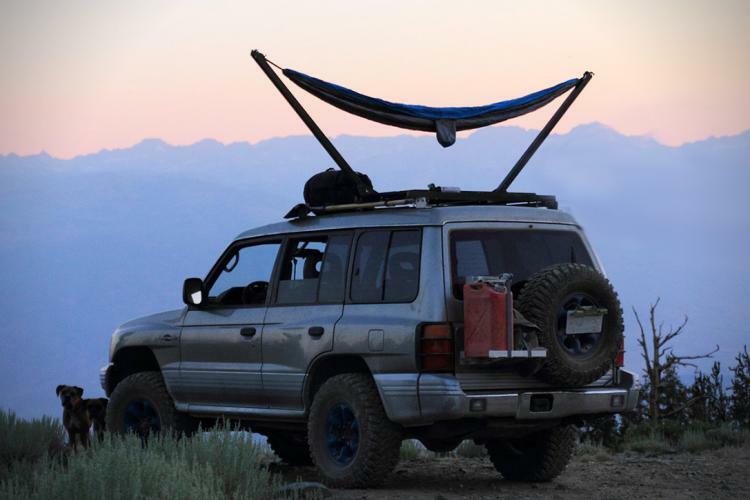 Similar to how the Jammock created a mini hammock on the top of your Jeep, the Rooftop Hammock gives you a hammock and a soft and spacious place to sleep wherever your tires can carry you. 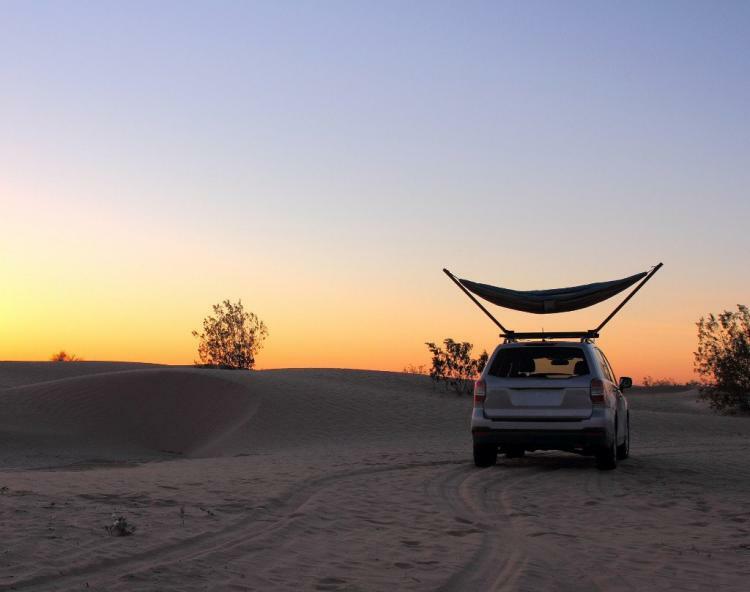 With the rooftop car hammock you can sped less time searching for a camping spot, and more time relaxing in your hammock. You won't need to spend time finding two perfectly separated trees, just hop on top of your car and lay down. 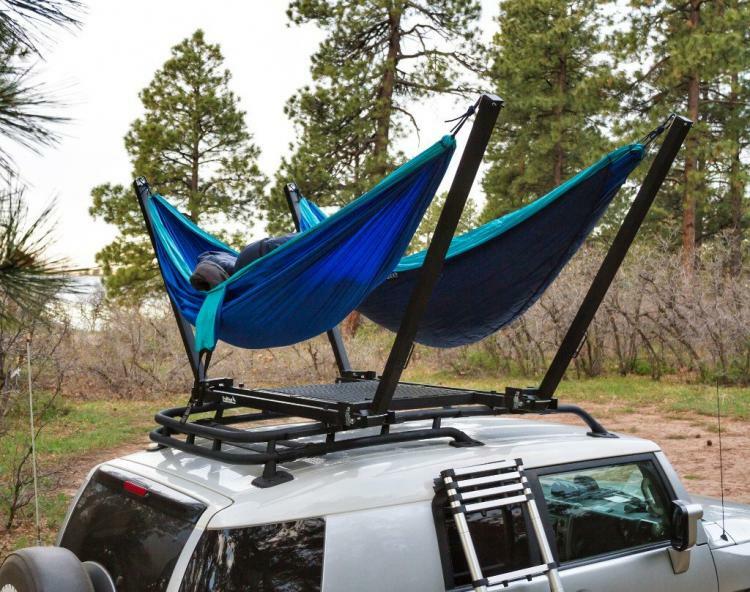 The Trailnest Rooftop Hammock installs onto the top of your car, and becomes ready to nap in no time. Just connect the fabric of the hammock to the arms, swing the arms open, and lock them in place. It'll be ready to go in just a minute or two of setting up. 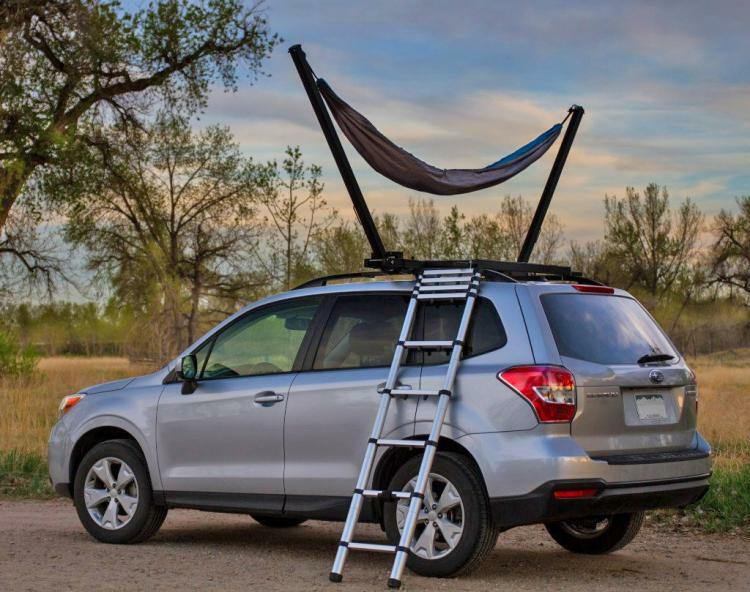 The car rooftop hammock comes in a few different versions to select from, some of which have more features than others, and one of which has an option to install two separate hammocks for you and your loved one to do some hammocking on the top of the car together. One option even comes with a small extendable ladder that lets you easily get to the top of your car. The SUV rooftop hammock is usable both on the top of your car or on the ground, installs onto the existing roof bars on your vehicle, can support up to 250 lbs in each hammock, and folds flat when not in use while traveling. Plus you can stow your gear on top of the device while you drive. Check out the Trailnest Rooftop Hammock in action via the video below.